Lyft just landed its first Buy rating from a Wall Street firm – and shares haven’t even started trading yet. D.A. Davidson analyst Tom White initiated coverage of Lyft with a Buy recommendation and $75 price target, or about a 15% premium over the midpoint of the $62 to $68 pricing range expected at Lyft’s initial public offering. The bullish outlook “reflects LYFT’s impressive recent U.S. market share gains and momentum, the continued growth/expansion of the broader ride-sharing market, and the stock’s reasonable EV/Sales multiple,” White wrote in a note published Tuesday. With an expected $65 price per share, Lyft is valued at about 5.4 times enterprise value to sales, which is “reasonable given Lyft’s growth profile,” White said. The $75 price target is based on a 6.4 times 2019 enterprise value to sales multiple, White added. Lyft, the No. 2 U.S. player in ride-sharing behind Uber, has grown its market share to 39% from 22% over the past two years. With U.S. consumers spending about $1.2 trillion annually on personal transportation, “the ride-share industry still has plenty of growth runway, with its advantages in convenience, value, and payments expanding the scope/scale of the traditional taxi market that is being disrupted,” White said. The U.S. market opportunity for ride-sharing companies could grow to about $105 billion by 2029, or about four times the size of the historical domestic taxi and limousine market, he estimated. However, the soon-to-be public company still carries downside risks, especially as its financial losses have deepened over the past few years. Lyft, which released its IPO prospectus in early March, reported a net loss of $911.3 million for fiscal year 2018. This was much steeper than its 2016 and 2017 losses, which had been $682.8 and $688.3 million, respectively. Other risks include uncertainty about Lyft’s long-term margin profile, positioning in autonomous driving and regulatory landscape for the ride-sharing industry, White said. 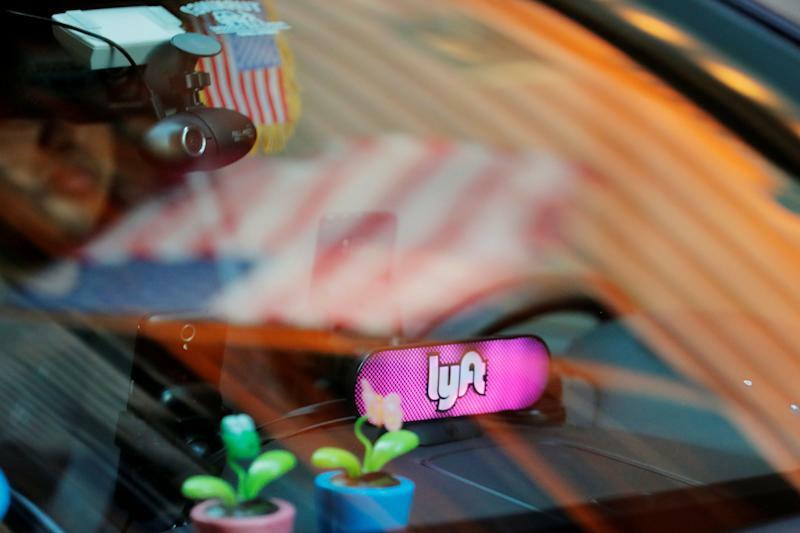 Lyft began its IPO roadshow earlier this week, and shares are expected to begin trading on the Nasdaq under the ticker LYFT next week. The ride-hailing company said in a regulatory filing Monday that it plans to sell more than 30 million class A shares at between $62 to $68 per share. Based on information in Monday’s filing, Lyft’s valuation could reach about $23 billion, including the $2 billion it is targeting to raise in its IPO along with expected dilution and restricted stock.